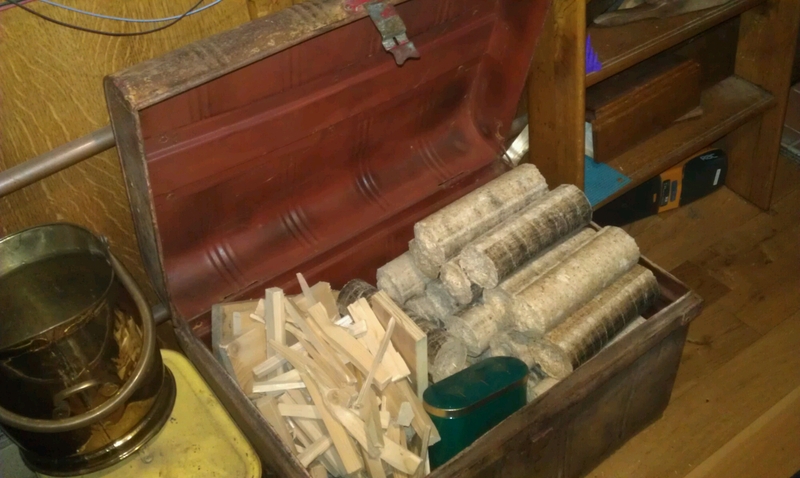 We’ve been after a big box to store fuel for the wood burner for a while but sadly the charity shop gods had not been smiling on us. 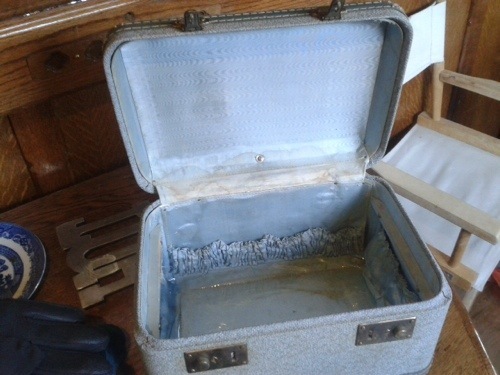 So James had a look on eBay just last night and miraculously there was the perfect metal trunk, on for a “buy it now” price of £20. And it was in Cottenham, just outside Cambridge. Five minutes later, having measured the space up, it was ours and this morning while I was out rowing James went and picked it up. What’s good about it is that it has not only neatened that part of the living room it also provides a handy seat. Very useful indeed. We might paint it but we kind of like the battered look with chips of old paint! On Wednesday night, we went on a trip to London. Nothing new there, but this time we went by car. 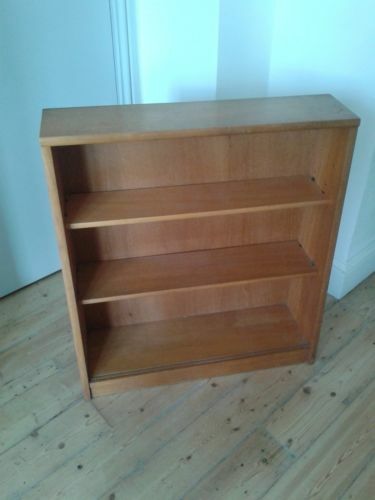 Foolish perhaps, but there was a reason – we’d bid on some lovely solid wood bookshelves on eBay and they were collection only. We’ve been looking for bookshelves for Willow for ages, but it has been really hard to find ones which are solid wood rather than nasty MDF or veneer. These are the real deal: well made, with nice dovetail joints, and amazingly despite there being loads of bidders, I won them both for £34.51. Similar things, even in charity shops, go for £50+ each. It was all very exciting. Waiting at the pier to load onto the ferry in the dark reminded me of childhood holidays to France, but alas we were only crossing the Thames not the Channel! Once on the boat, we definitely felt a lot of movement, and enjoyed the views out across the Thames. Then it was through the rush hour London traffic to park at Greenwich just after parking became free. 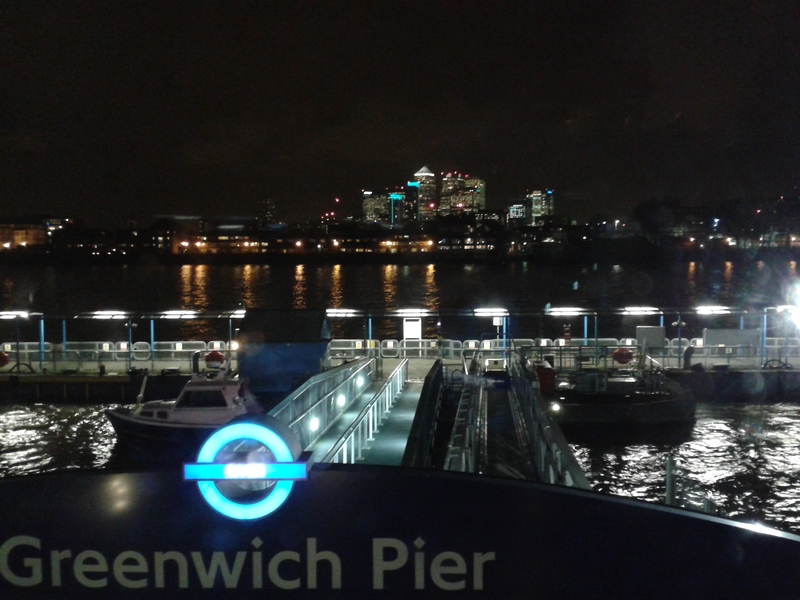 We walked over to Zizzi’s for dinner overlooking the Thames, and thanks to a 50% off deal, it only cost us £12. 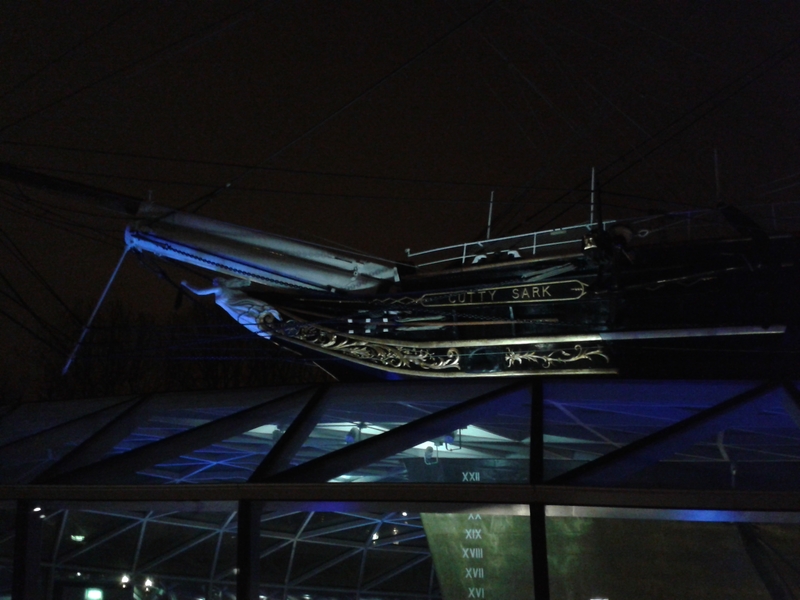 A quick visit to the Cutty Sark, where there was a display of Willow Pattern china visible in the new glass surrounding building, then we went back to the car and to pick up the bookcases. 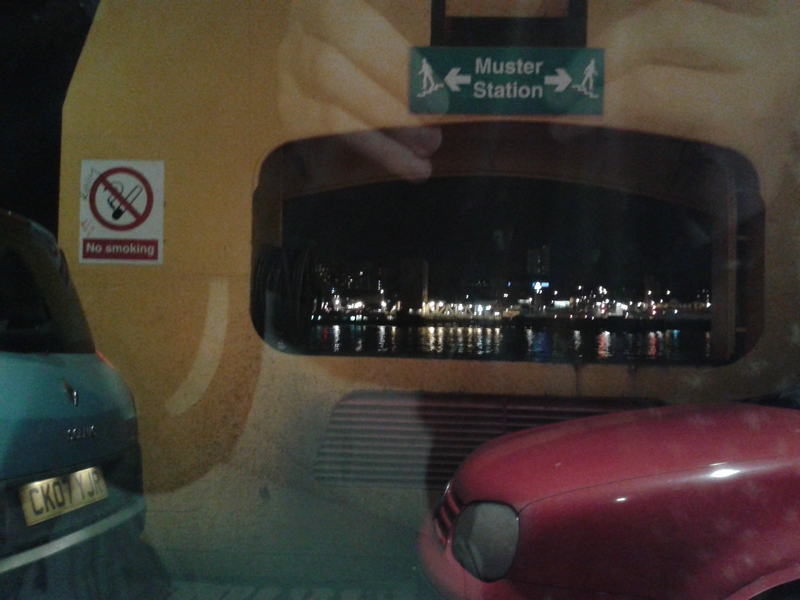 We went back through the Rotherhithe tunnel, perhaps not the best choice, as it’s very narrow, but it was interesting! We were back home by 9:30pm, as there was very little traffic on the M11. 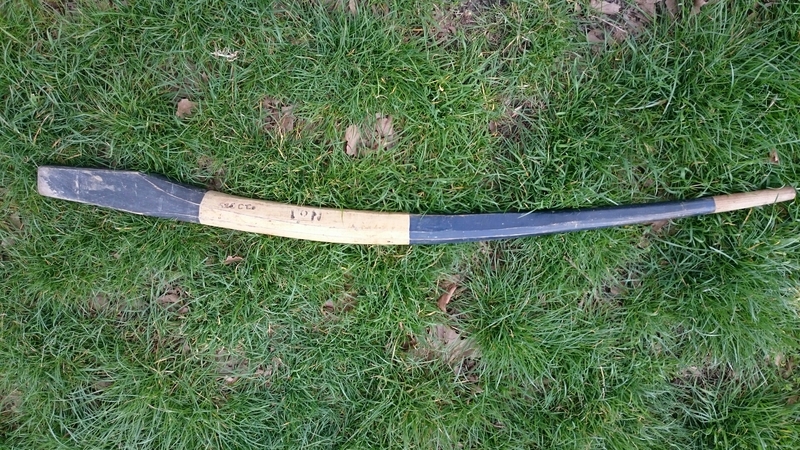 In fact this isn’t one of my finds at all, but James’s. 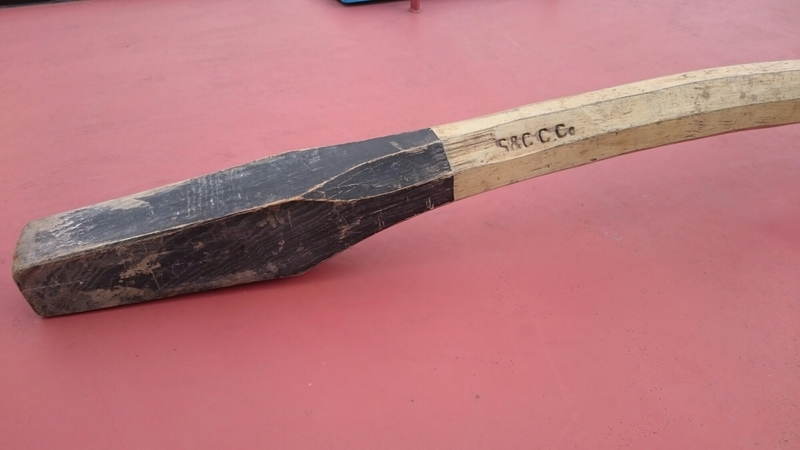 He gave it to me for my Christmas present this year so although I know he got it in a second hand shop in a Exeter, I don’t know which one or what he paid. 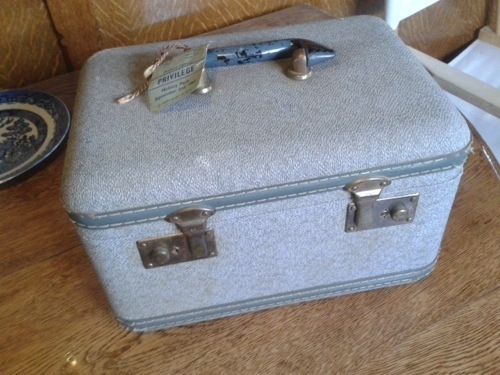 Anyway, it’s a beautiful vintage travelling box, quite small, but perfect for the shelf above the coat rail at the entrance to Willow. We’re currently using it to store our vast quantity of gloves! 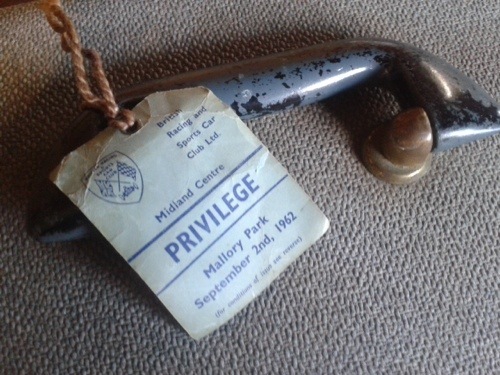 It has a nice detail in the fact that it has a tag attached, showing that who ever owned it attended a British Racing and Sports Car Club event at Mallory Park in September 1962. 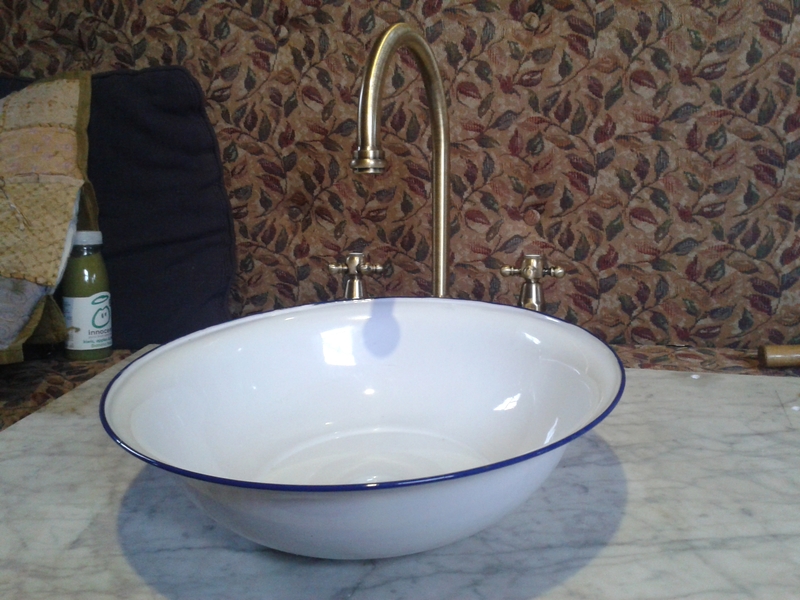 We bought this Swedish enamel sink from eBay and it arrived yesterday. We’d been wondering what sort of sink to use in the bathroom on top of the Victorian wash stand we bought back in January. 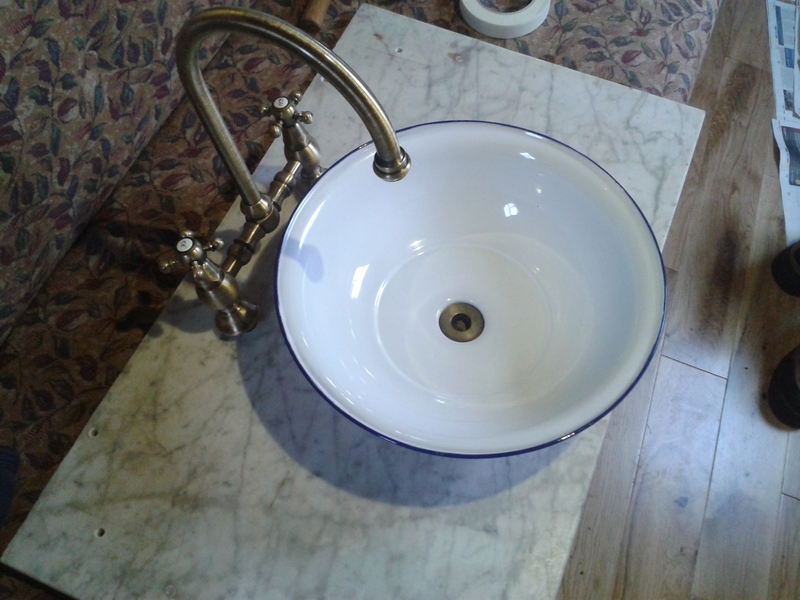 Having originally planned to fit a drain to the bottom of an enamel bowl from a charity shop we changed our minds because the shape of the bowl meant that we weren’t sure if the water would run out properly. We’d decided to go for a standard ceramic counter top sink but I still hankered after an enamel one, so when I spotted this on ebay I was a bit excited! It is perfect, having been designed with a drain hole in it, which fits exactly in the 50mm hole we’d already had drilled in the marble top. It’s in really good condition too, with only a couple of tiny chips around the rim. We got into a nailbiting bidding war with one other buyer and ended up spending £50, including the postage, but I think it’s worth it. 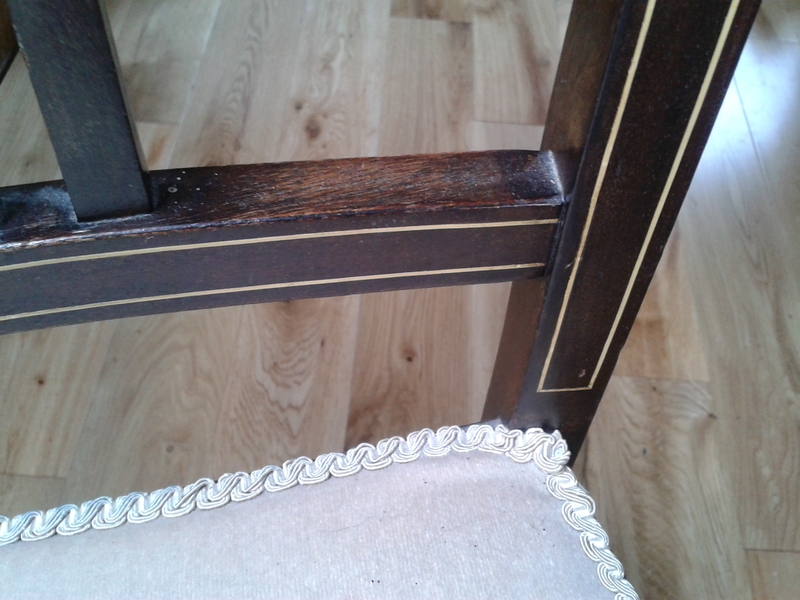 A standard ceramic one wouldn’t have been much less and wouldn’t have looked nearly as good! 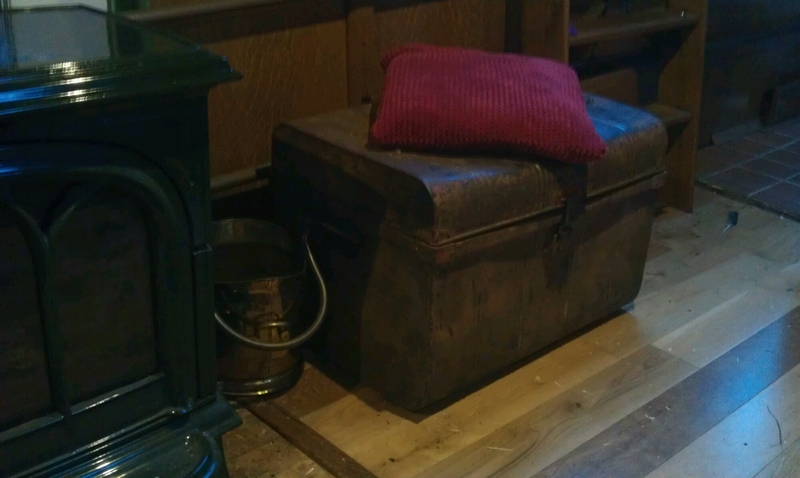 Underneath, it has a brass fitting with a thread but we’ve yet to work out whether it will fit standard British plumbing! If it doesn’t fit anything, we’ll just have to use good old plastic pipe and a jubilee clip, so I’m sure it will work out one way or another. Can’t wait to fit it properly in the bathroom on top of the wash stand! 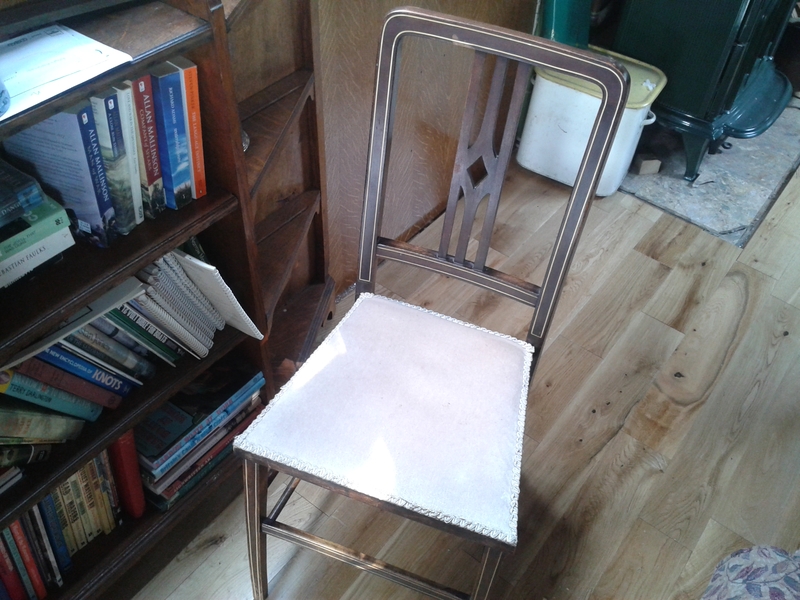 This chair sat, looking lonely, in Oxfam for weeks. Every time I saw it, there was some reason why I couldn’t take it home – I already had too much shopping or I was going back to work. Eventually, I went back in with James, when we were on our way home and had our hands free, thinking that of course now we can take it, it will be gone. But it was still there. It’s just right for Willow – delicate, with inlaid pale wood and the right size for a narrow boat! We’ve been looking for a laundry basket for Willow, to go in the corner of the bathroom. I had been looking at ones from John Lewis and ebay and all the nice wicker (as opposed to plastic ones) are about £20-25, but none of them stood out, so I’d not bought one yet. 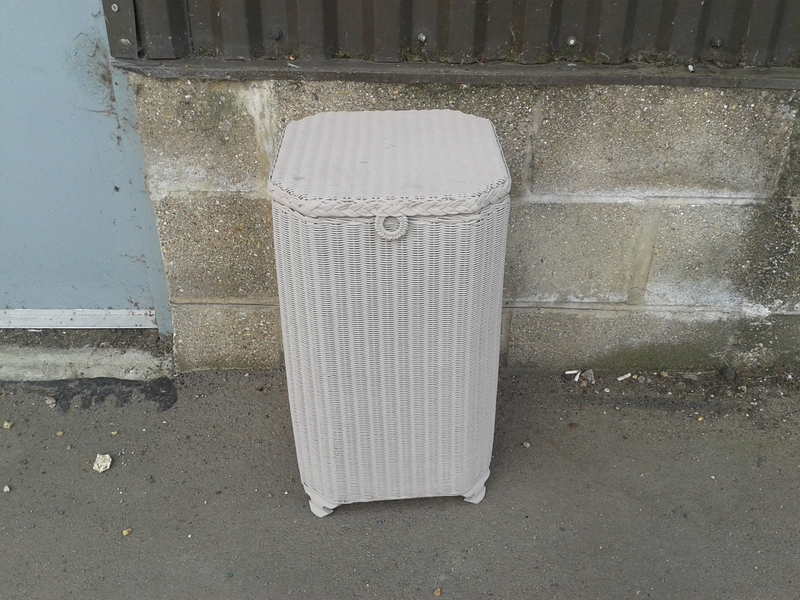 So, we were quite pleased to find this in the antiques shop on Gwydir Street in Cambridge: a genuine Lloyd Loom linen basket made by Lusty’s, for £18. 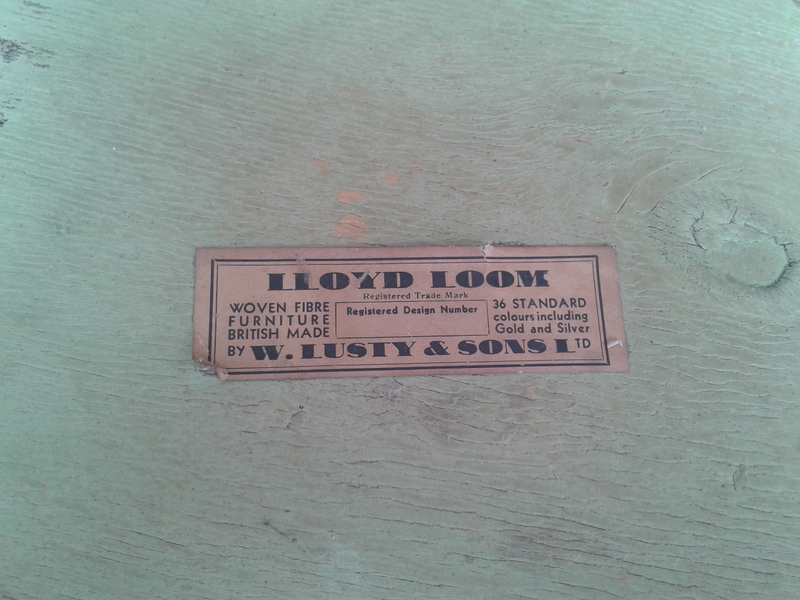 The Lloyd Loom process was invented in America and it involves weaving a tough fabric out of wire wrapped in twisted paper, which is then stretched over beech frames to make chairs and other furniture. It was popular in the early 20th century, the era we are roughly evoking with Willow’s interior, and brings to mind tea rooms and country house conservatories. It will look just right in Willow’s grey, black and white bathroom. No sooner than I decided to start collecting Willow Pattern crockery, sparked by Sarah and Jim’s kind boatwarming gift, I started seeing it everywhere! My first find was in the Salvation Army shop in Cambridge – a proper charity shop, where part of its purpose it to provide cheap essentials for people who can’t afford to buy new. They had a stack of plates and bowls, so I got four dessert bowls, four side plates, but only three dinner plates (annoying!). I couldn’t complain though – this haul set me back all of £5.40 for the lot, as each item was betwen 40p and 70p! Then, whilst in Emmaus, we spotted a little milk jug and a sole dinner plate to add to my three. It’s not a perfect match – there are so many variations on a theme with Willow Pattern – but it makes a set of four. 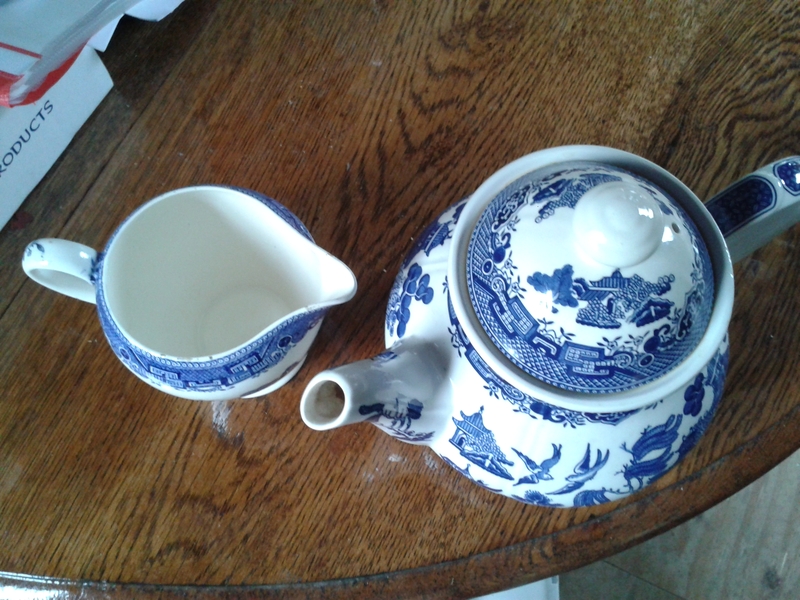 Finally, whilst I was in Exeter, my mum gave me a lovely Willow pattern teapot, which used to belong to my dad’s grandparents. I remember it being on the breakfast table when we went to stay with them. 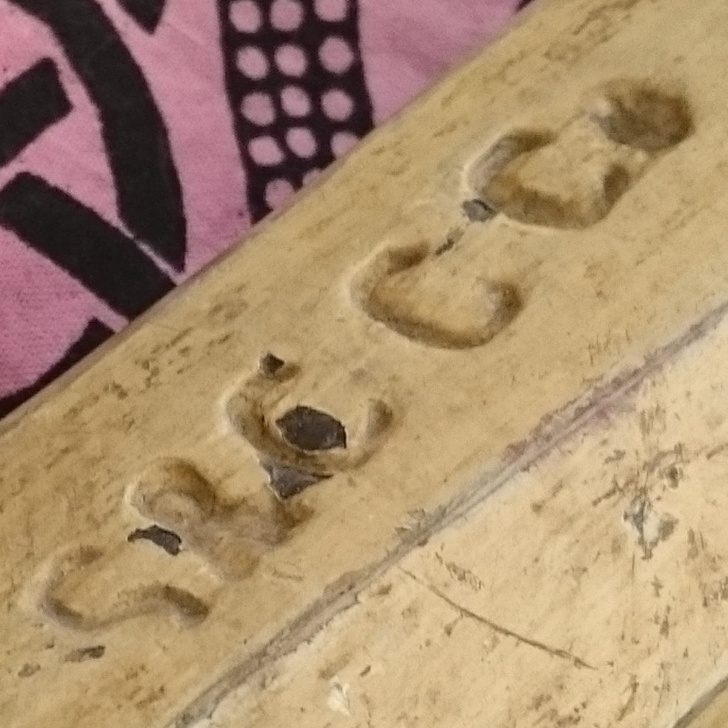 It’s lovely to have this piece of my family’s history to use for serving tea. Sadly they died before I even went to university so they never knew of my boating endeavours, but I’m sure they would have loved to come boating with us. They lived in Wantage, Oxfordshire, and the Wantage Arm of the now derelict Wilts and Berks canal passed the lane at the end of their street. We often went walking along the parts which were still in water. 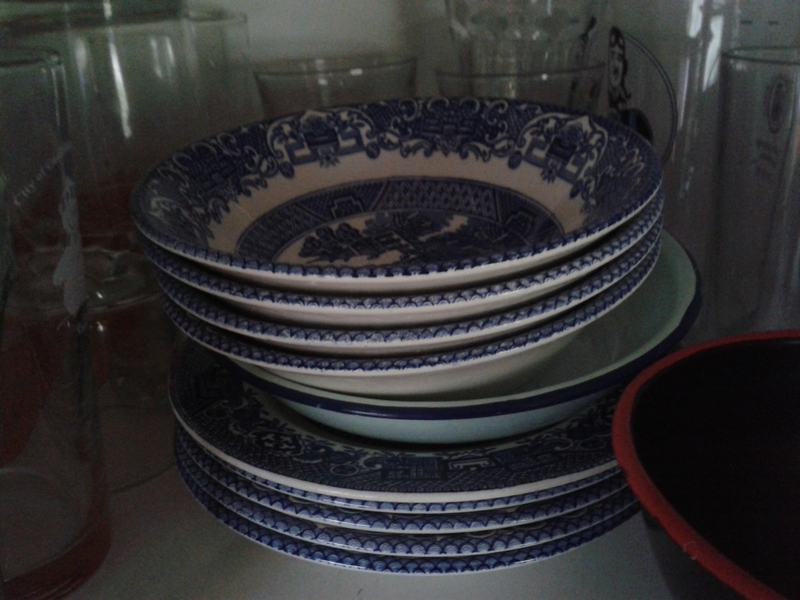 I also collect enamelware (mostly blue and white), which goes well with Willow pattern. 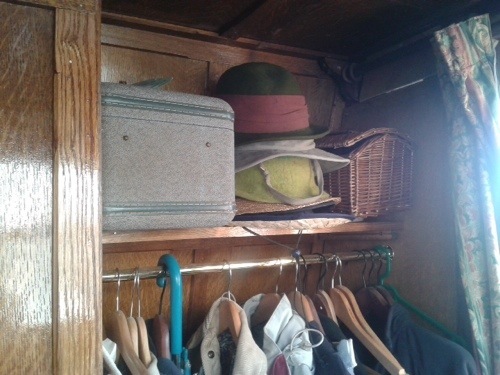 Last week we had a clear out of all the crockery which wasn’t either Willow or enamel – there’s not a lot of room to keep everything and it feels sort of grown-up to have everything matching!